At Mercaz Hatorah, the goal of General Studies is to broaden and deepen our student’s understanding of the world. We offer classes that aim to challenge each student at the level that is most appropriately suited for him. Our staff employs teaching practices that are reinforced in class. Each year, students are required to take courses in English, History, Math, and Science as well as an Elective course. Our General Studies program provides a challenging, yet solid foundation for understanding our world while preparing our students for their post high school career. 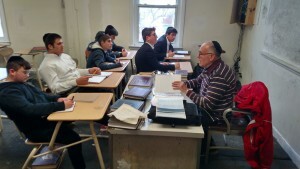 Yeshiva Mercaz HaTorah offers an outstanding academic program in which students graduate with a New York State Regents Diploma. Each student is assured a quality education with a solid foundation in all subjects. The Yeshiva’s goal is to train its talmidim in the secular studies they will need for the future. Mr. Steven R. Holke, is the principal of secular studies here at Yeshiva Mercaz Hatorah of Belle Harbor. He comes to our Yeshiva with many years of experience, having previously taught in yeshivas for 3 years, in addition to having taught 12 years in the NYC public school system. 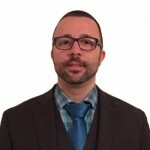 He holds NY State Licenses for teaching Students with Disabilities, Social Studies, English, and School Building Leadership and Administration. In addition to his experience in the classroom, he has also served as a Dean for more than 10 years in a high school with a student population of more than 4000 students. Prior to beginning his career as a teacher and dean, he served 4 honorable years in the United States Marine Corps, serving both domestically and overseas and culminating in being part of the invasion of Iraq in 2003. His years of military service, combined with his extensive experience from years in a public high school, have equipped him with the tools and passion for his newest endeavor; our English principal.